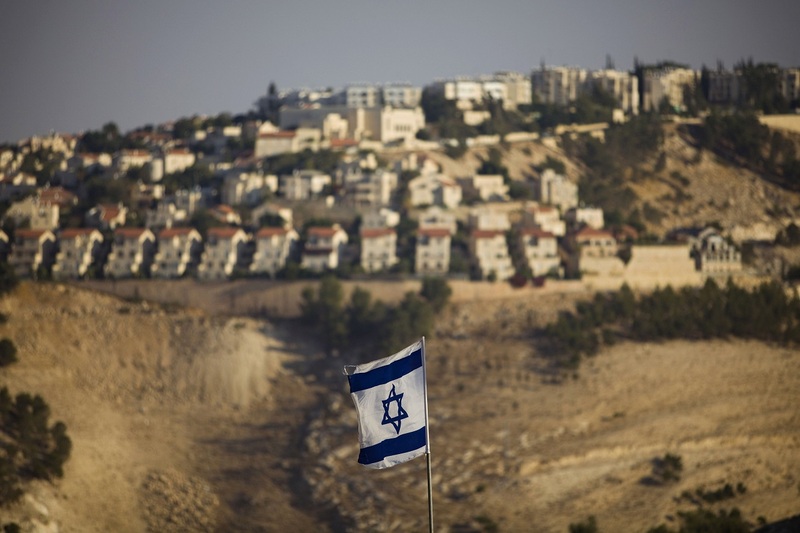 ILE – In this Monday, Sept. 7, 2009 file photo, an Israeli flag is seen in front of the West Bank Jewish settlement of Maaleh Adumim on the outskirts of Jerusalem. Israel has taken another step to apply an exceptional legal precedent that would allow the state to retroactively legalize Jewish settlements in the West Bank. The state informed the Jerusalem District Court that it would undertake to recognize structures part of the secular settlement Alei Zahav founded in 1983, said to be built on Palestinian land confiscated by Israel, Haaretz reported Monday. After Israel annexed the West Bank in 1967, it used now-outdated surveying methods to mark certain areas as state land despite inaccuracies that are being corrected today by new technology, which shows that in fact some of Alei Zahav sits on private Palestinian land. Nevertheless, the state is making use of the controversial market ouvert (“free market”) legal principle — also referred to as the expropriation bill — that recognizes the claim of a good faith buyer to stolen property, as long as she acted responsibly and was still unaware of the issue at the time of acquisition. Attorney General Avichai Mandelblit gave the green light for employing the “market regulation” amendment at the insistence of Justice Minister Ayelet Shaked back in December following a controversial and potentially trail-blazing legal precedent set by the Jerusalem District Court back in October. 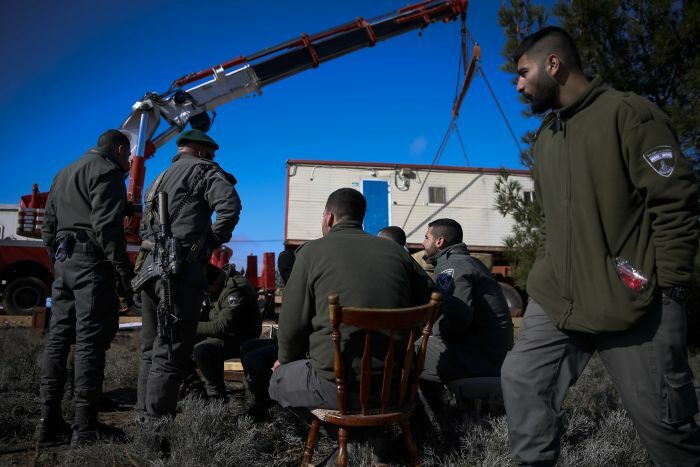 The court ruled in the case of the Mizpeh Kramim settlement that residents had essentially acquired legal rights to the land due to the free market principle, preventing Israel Defense Forces (IDF) from evicting them though not actually transferring ownership. Israel’s Civil Administration — the Israeli governing body in charge of the West Bank — had erroneously allocated the land to the World Zionist Organization despite being legally registered to Palestinian landowners and belonging to the village of Deir Jarir. While Alei Zahav also involved the state of Israel misappropriating Palestinian lands, this would be an even more liberal application of the free market principle because the state was much more significantly involved in the establishment of Mizpeh Kramim, according to Haaretz. The precedent set in Mizpeh Kramim is also still being reviewed by the Supreme Court, which has frozen use of the free market mechanism in land cases pending its rulings on petitions against it. The Mizpeh Kramim case was also deemed exceptional, and allowing for expropriation in the current Alei Zahav case could open the door to vaster settlement recognition in the vicinity of 2,000 illegally built homes in the West Bank. “Even without making use of the vilified expropriation law, the state still finds ways and uses other routes to attain the same goal, giving its legal imprimatur to robbery of land, with residents who are protected under international law,” said Attorney Alaa Mahajna, who represents Palestinians’ ownership claims in the disputed area.